mujeres se saquen sus DIUS de cobre. 1 millón de mujeres en el 2023 sin el DIU de cobre. segura cuando, en realidad, enferma a nuestras mujeres y niños. ¡Firme ahora la promesa de retirar su DIU de cobre y de difundir información acerca de la toxicidad del cobre, ayudando así a las mujeres de todo el mundo a recuperar el poder sobre sus cuerpos y su salud! Any Message you want to leave for your fellow warrior ladies? 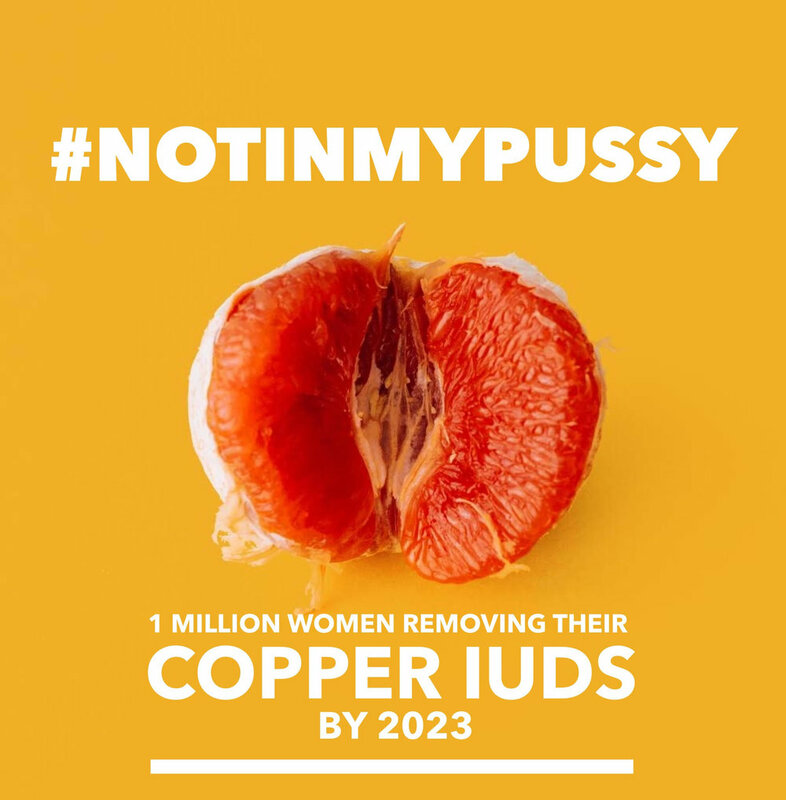 I pledge to have my Copper IUD removed by 2023 and to do my best to spread awareness to my fellow women and community about Copper Toxicity. Through my healing I'm choosing to heal the world around me. • I consent to my information I give being used to keep me up to date with relevant campaign news and copper toxicity information as this campaign grows and heals the world! You rock, you woman warrior you! .:. Dear copper sisters, We have been deceived by pharm companies. It's time for us to take justice into our hands and to contribute spreading awareness about copper toxicity. I got my copper IUD removed after 10 months of a living hell in which both my physical and mental health were shattered into bits. The doctors kept telling me that my issues "could not" be related to my Paragard IUD but once I finally figured it out and had it removed the very next day, my problems started going away IMMEDIATELY! It was literally like a switch being flipped. My debilitating anxiety was almost completely gone by the time I left the clinic after removal. My hair which had been falling out by the fistfuls, stopped falling out on the second day after removal and on the third night I was able to sleep for the first time in over 6 months. Listen to what your body is trying to tell you! As part of my recovery I started IUD Awareness which is meant to be a hub where all of our stories and efforts can be heard.www.iudawareness.org and on facebook www.facebook.com/iudawareness.